YouTube head Salar Kamangar has revealed that it may begin offering paid subscriptions in the future. Don't worry, your cat videos are safe – it's more likely that YouTube will begin charging for access to 'professionally' created videos. It's interested in hosting programmes from cable channels with small but dedicated audiences, as well as pushing the original videos that it has been increasingly backing over the last six months. You know, like Wayne's World. Kamangar explained that there's demand from smaller boutique networks which don't see much in the way of financial return from cable channel distribution. You know, like in Wayne's World. "I see those kinds of networks becoming available in the future on the web and I see those becoming available on an a la carte basis," he said. It's a plan that reminds us of DVD sales and streaming providing buoyancy to cult TV series that don't necessarily do well on television initially. "We don't have anything to announce now," said Kamangar speaking at a Reuters event this week. "It is something that's really important to a lot of our top existing content creators as well as ones that aren't on YouTube today, so we're talking very seriously and we're thinking about it very carefully." It'll be interesting to see exactly what falls under the subscriptions' remit - YouTube already offers video rentals that you pay for on a one-off basis. 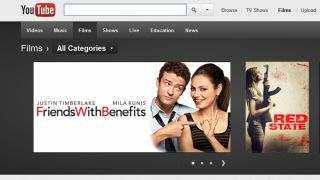 If it decides to start offering a movie streaming service as part of the subscription, that could mean big things for companies like Lovefilm and Netflix.